Hip-Hop / Music Tory Lanez's shape-shifting flow and the allure of "Fourteen & 40's"
Yesterday Pitchfork scribe Jayson Greene wrote about the joys of transcribing rap lyrics, which he describes as "one of the most visceral intellectual pleasures I know." I certainly understand Greene's impulse, and I often share his desire to trap a rhyme in amber in order to get a closer look at it from another angle; it seems like a great way to observe an art form that thrives on motion in order to visualize how a certain collection of words can transform into an enthralling mass that can keep me in its grip for weeks, months, and years. I've never been one to consistently jot down rap lyrics as I hear them, but I do share Greene's feelings about the transcription process, I just happen to apply it to typing out interviews (it can be time-consuming, but it's strangely calming and meditative, and it gives me the opportunity to get a heightened sense for how an interviewee uses language). But I do still share that desire to pause and hover over a part of a song, lately it's just taken the form of literally pressing pause, rewinding, and repeating a fraction of a song. Recently it's the sound of a rapper's flow that heightens my attention—the way a rapper's tone can make a phrase shape-shift as it forms can floor me in such a way that I forget the words that informed the sound. 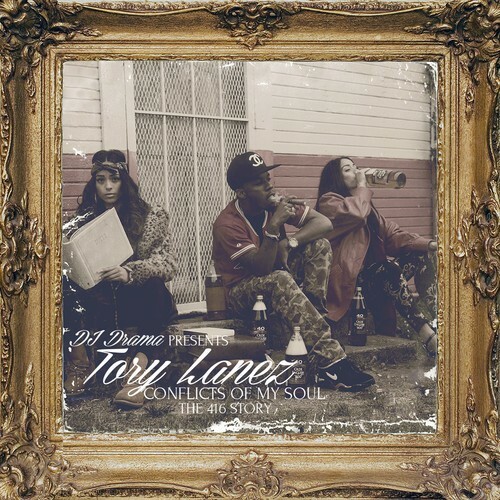 That's not always what happens when I approach hip-hop, but that's certainly the case with "Fourteen & 40's," the first proper song on Tory Lanez's new mixtape, Conflicts of My Soul: The 416 Story. The tune is built on a moody flip of Method Man's "I'll be There for You/You're All I Need to Get By,"* and at the chorus the Texas-based rapper slows his flow to sing in a manner that's slightly gritty, a little bit sweet, and ever so sleek. It's the chorus that's kept "Fourteen and 40's" on repeat, specifically the part where Tory sings the word "fourteen"; he pauses after the blurting "four" and tilts towards "teen," slowly sliding into the phrase and adding a thin hint of autotune so that the MC's voice sounds a bit mechanized but also entirely human. Tory's delivery is as smooth as the sound of his voice at the end of singing "fourteen," which is to say, very smooth—I imagine him slipping into a velvet smoking jacket and lighting up a blunt as he's singing—and it took me several listens through for the words to even register. I've listened to Conflicts of My Soul all the way through once, but so far I just keep returning to "Fourteen & 40's" instead of playing the whole mixtape. There's a good chance I'll become obsessed with some of the other songs on Conflicts, but for now I'll just turn back to "Fourteen & 40's" to land on the word "fourteen"; it's meditative and transfixing, and after all this time I've spent trying to capture that one moment, it looks like it's caught me. *Method Man's tune is itself a flip of Marvin Gaye and Tammi Terrell's "You're All I Need to Get By."